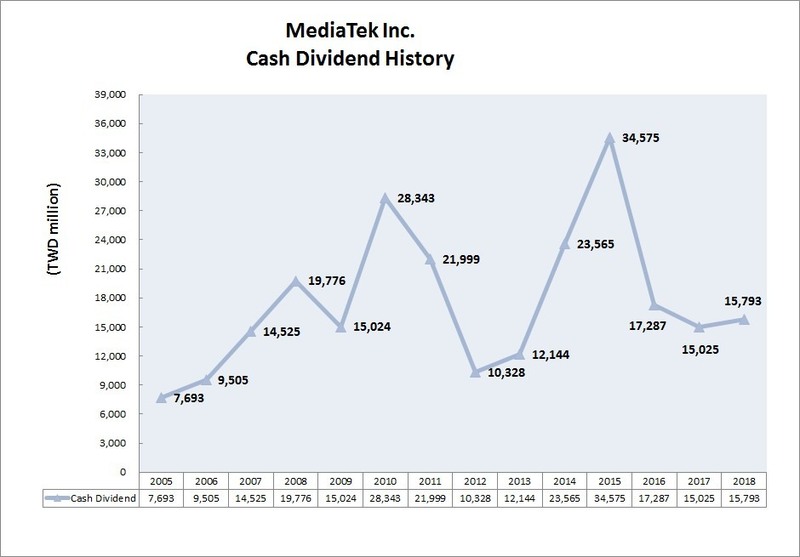 MediaTek distributes retained earnings available for distribution in the form of cash dividends or stock dividends. Both the timing and the amount of distributions depend on our earnings and financial conditions. Our dividend history is below.